Over the past two months, inewsource has published a series of investigative stories about well-known attorney Cory Briggs. Now, a nonprofit Briggs is associated with has sued inewsource and its executive director personally. The lawsuit, filed Thursday, challenges the lease inewsource has with San Diego State University, where it is based. The suit seeks damages from the university and its foundation, the university system, and from inewsource and inewsource founder Lorie Hearn. It can be read in its entirety here. The lawsuit was filed by San Diegans for Open Government, a nonprofit organization Briggs has used to sue governments over allegations of environmental violations. The attorney representing the group is John McClendon of Laguna Hills, who has joined Briggs in filing lawsuits in the past. SANDOG’s mission statement, according to its filings with the California Attorney General, is to “Promote social welfare through advocacy for and education regarding responsible and equitable environmental development.” Reached by phone Friday, one of its members, Pedro Quiroz Jr., declined to comment on the lawsuit and referred the reporter to McClendon. McClendon did not respond to a request for comment by publication. “Increasingly,” she said, “the subjects of journalistic investigations attack the journalists themselves as a way to stifle honest reporting and damage credibility. It is a disturbing trend. inewsource’s stories have raised concerns about Briggs’ business practices, in particular his home loans legal ethicists have called questionable and possibly fraudulent, as well as his relationship with a former environmental biologist and vice president of his law firm whose work he has sued over. inewsource’s coverage of the relationship has already resulted in a monetary settlement reimbursing taxpayers. inewsource is a 501c3 formed in 2009 to do in-depth, investigative reporting and to mentor journalism’s next generation. inewsource has a partnership with KPBS and is based in its newsroom on the campus of SDSU. Its award-winning staff focuses on issues that define the times, especially education, health, environment and government accountability. See and share this story here on our website. head here on our website. Copyright © 2015 inewsource, All rights reserved. "What does a climate scientist think we should do about climate change?" Join us for this SPECIAL EVENT to hear from renowned climate scientist Dr. Somerville! Dr. Richard Somerville has a lifetime of research and peer relationships to share with us on this Special Evening. Register now to hear his unique perspective on the challenge of Climate Change and what needs to be done to alter our course. Dr. Richard Somerville, sits on the Science and Security Boardof The Bulletin of the Atomic Scientists which recently moved the "Doomsday Clock" to 3 minutes to midnight. He worked on the Forth UN Inter-government Panel on Climate Change, (IPCC) Assessment which won the organization theNobel Peace Prize for their work on Climate Change Science. This 2007 Nobel Prize was shared equally by the IPCC and Vice-President Al Gore. 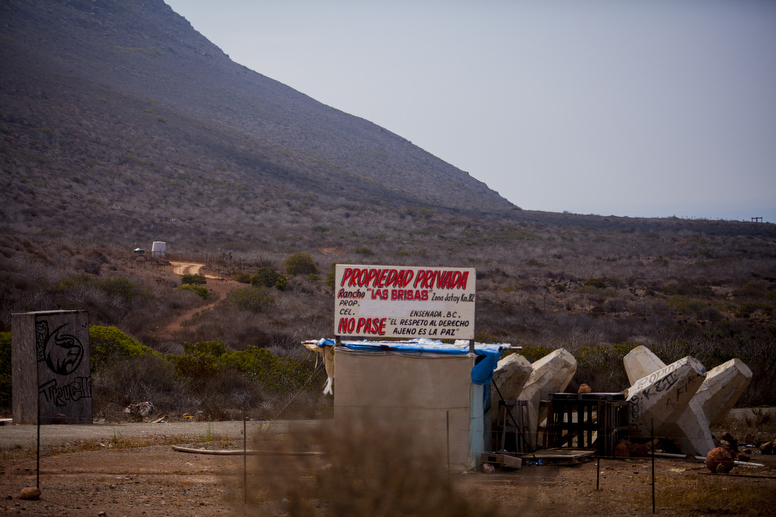 Climate science is robust and tells us that the world is on a path to dire consequences. Can citizens, businesses and governments generate the will, both politically and economically, to act on this issue before it is too late? Scripps Institution of Oceanography and the University of California, San Diego. Richard C. J. Somerville Climate Scientist Professor, Researcher, Author, Speaker, Consultant Richard Somerville is Distinguished Professor Emeritus and Research Professor at Scripps Institution of Oceanography, University of California, San Diego, U.S.A. He is a theoretical meteorologist and an expert on computer simulations of the atmosphere. He received a B.S. in meteorology from Pennsylvania State University in 1961 and a Ph. D. in meteorology from New York University in 1966. He has been a professor at Scripps since 1979. His research is focused on critical physical processes in the climate system, especially the role of clouds and the important feed backs that can occur as clouds change with a changing climate. Somerville is an authority on the prospects for climate change in coming decades. He is an author, co-author or editor of more than 200 scientific publications. His broader interests include all aspects of climate, including climate science outreach and the interface between science and public policy. He was an organizer and signer of the Bali Climate Declaration by Scientists, in which more than 200 climate scientists from more than 20 countries urged climate change negotiators to agree on large and rapid reductions in global greenhouse gas emissions. The New Indicator is Back! What better way to celebrate our 50th anniversary? Never heard of the New Indicator newspaper? Check out the “About Us” page. We see that when UCSD has no New Indicator, the campus administrators run amok. They think they can get away with murder, because the UCSD Guardian won’t report it. That newspaper was actually started by the UCSD administration, not by students, and has seldom disappointed its Creator. We will start with reporting the truth about the UCSD administration’s campaign to shut down the Che Cafe. March on the Chancellor, October 28, 2014. Photo by Fred Lonidier. The UCSD administration is currently carrying out a long-term plan to kill the Che Cafe and the three other student coops on the campus. The three other coops areGroundwork Books, the General Store Coop, and the Food Coop. The coops have relied on a lease agreement with UCSD to protect their operations on the campus since 1993. That first lease was negotiated, with strong support of the student governments, after the last time the administration tried to evict the coops. In the past few years, all four coops have been trying to negotiate a new lease and have been unable to get the administration to agree on terms. The current lease, the Master Space Agreement (MSA) was signed by all four coops and the administration in 2006 and is set to expire in 2016. The most recent, January 2015 administration-generated report on the Che Cafe calls for razing the building to the ground! The report has not been widely publicized, unlike the administration’s press release in November promising there “are no plans to demolish the Che Cafe building.” The Che is more well-known than the other coops and has the most campus and community support. If the administration can kill the Che, it won’t have as much trouble killing the other coops. The administration got new support for its kill the coops campaign from the Associated Students (AS) and the Graduate Students Association (GSA) in the past few weeks. Both of these student government councils passed resolutions which will help provide political “cover” for the administration’s eviction of the Che Cafe Collective from the Che Cafe space they have had for 35 years. The resolutions are nearly identical. The AS adopted the GSA’s resolution with few changes. The resolutions call on the Che Cafe Collective to stop holding concerts and events in the Cafe for a year and a half. The resolutions go on to say it could become permanent after that, or the collective might be “allowed” back in its own space then. The AS and the GSA offer no reason why the Che should not continue in its space as usual as it has for over 35 years. The resolutions read like something written by a UCSD administrator, and probably largely were. One high-ranking administrator who actually supports the Che Cafe has disclosed that Chancellor Pradeep Khosla “hates” the Che and wants it gone. The GSA consulted closely with the administration over the past several months, while telling the Che Cafe Collective that the GSA’s committee meetings were “closed”. (They seem to think the state Bagley-Keene Open Meeting Act doesn’t apply to them.) The GSA and the AS both have refused to talk to the Che Cafe Collective about the written proposals submitted by the collective or about the collective’s position statement . The administration has held off on serving the final 5-day notice to vacate, after winning an eviction lawsuit against the Che in October. The Che Cafe Collective immediately filed an appeal of that court ruling, and the ruling on the appeal is still pending. After 3 substantial protest demonstrations last Fall, including an occupation of Peterson Hall, and more than 14,000 petition signatures supporting the Che, and at least 10 or 20 newspaper articles and news broadcasts about the administration’s eviction campaign, the UCSD administration blinked. We think the administration has waited in the hope of getting the AS and the GSA to take the blame, so that all the bad press and angry students won’t be blaming the UCSD administration for shutting down the Che. Now they are going to get what they want from the student governments. That is, unless UCSD students push back and stop their elected “representatives” from serving the administration instead of serving the students. Students can demand that the AS and GSA repeal these resolutions. Students can demand that the AS and GSA instead call on the administration to drop the eviction and restore the Che’s lease. The info sheet goes on to give the UC policy and state Fire Code links that prove there is no safety problem at the Che Cafe. Click here to see the info sheet. In other words, THERE IS NO REASON TO SHUT DOWN THE CHE. The UCSD administration just LIED about it. The termination of the Che Cafe Collective’s lease was based on a lie. The lawsuit to evict the collective — after it refused to vacate the space when the lease was terminated — was based on a lie. On top of the Big Lie about “safety”, the administration and its obedient tail-wagging puppies in the AS and GSA pretend that costs for ordinary maintenance of the Che building will be millions. The truth is that the cost projections they are using are for massive renovations (to make the building “like new”) — not for simple maintenance repairs. Another canard being used to kill the Che is a supposed “lack of student support.” The Che Cafe put on over 100 concerts during the past year alone, and served inexpensive vegan food at all of them and the administration and the University Centers Advisory Board (UCAB) and the AS and GSA get away with saying the Cafe isn’t “serving the students”? The University Centers administration did a survey last year of student “priorities” about services at the 3 University Centers: the Che Cafe building, the Student Center and the Price Center. The student-majority UCAB pointed to the data that 78 % of students said the Che Cafe was a “low priority”. UCAB used that idea to cut funding for maintenance of the Che Cafe building out of the 2014-15 University Centers budget. The administration, UCAB, and the AS and GSA keep chanting like zombies “lack of student support”. How is it that none of these officials are talking about the 22% of the students (thousands of students) who thought the Che Cafe was a higher priority? How many other student organizations enjoy the support of 22%? When was the last time that 22% of the students bothered to vote in an AS or a GSA election? Students, alumni, faculty, campus unions and community supporters of the Che Cafe, including a past president of the Alumni Association and even the San Diego and Imperial Counties Labor Council (representing over 100 unions in our region) see through the administration’s Big Lie campaign. An Artists’ Boycott of UCSD in support of the Che Cafe has been started and is growing. If the UCSD administration and the AS and GSA don’t want to let the Che Cafe enjoy its normal business, why should we let the administration, AS and GSA do “business as usual”? If they are going to continue to disrupt the Che Cafe, then why shouldn’t we disrupt all the AS and GSA meetings and all the administration events and conferences on the campus? The Che Cafe building opened in 1966 as the first UCSD student center. It is a vital and living part of our history. We must save it! Be creative and use your imagination and Fight Back! NO SHUT DOWN OF CHE CAFE! NOT ONE YEAR! NOT ONE DAY! Join the GENI Initiative and SD350.org, Divest, Invest, Advocate. In the run-up to Global Divestment Day on Feb. 13 and 14, May Boeve, executive director of 350.org, interviewed Naomi Klein, activist and author of the book This Changes Everything: Capitalism vs. The Climate (and 350 board member), as part of a web workshop. You can watch the whole thing. Or you can read our three-part edited transcript. Part one was about plummeting oil prices. Part two was about making the climate movement stronger. And here’s part three. May Boeve: You were instrumental in helping articulate the link between stranded assets, unburnable carbon, climate change, and divestment. The movement to divest has taken off in incredible ways. What has been most significant about divestment, and what is needed to keep that call fresh and alive in this moment? Naomi Klein: I want to give a little bit of history from my perspective of where all of this came from. When we had the idea for a national, and then international, divestment call on fossil fuels, there were already pockets at certain universities that were pushing their schools to divest from coal, but there wasn’t an overall fossil fuel divestment call that had been made. That came out of a [phone] call between Bill McKibben and I, that happened after both of us had read the Carbon Tracker research, which blew both of our minds. This is the research that all of this is based on, that shows that the fossil fuel industry has five times more carbon dioxide in their proven reserves than the atmosphere can absorb and leave us with a decent shot of keeping global warming below 2 degrees Celsius. Now, the thing that was striking when we were reading that research was that it was not addressed to us. This research was done for the investment community as a warning to them that there is a bubble in the market. This was a couple of years out of the housing bubble bursting, and it was warning, “OK, we see another bubble on the horizon, we don’t want to have another bubble burst.” Obviously, these companies cannot burn five times more carbon than the atmosphere can absorb, so these are going to become stranded assets. Now, I read that research and I went, “No, that’s not right. We’re the bubble.” They’re planning to burn the carbon, and they have made a political assessment that when our politicians said they were going to keep warming below 2 degrees they were lying, that they didn’t mean it. The commitments made in Copenhagen were unbinding, and Exxon and Shell and everyone else decided that that was not something they had to worry about, that they were going to go ahead and burn it anyway. So, I didn’t think this was a warning to investors. I thought this was a warning to all of us, and that’s what Bill thought too. So, the question is, OK, if we’re the bubble, how do we flip it? How do we turn them into the bubble that’s going to burst? And that’s where the divestment idea comes from. Those are the stakes, that’s really what that research shows: It’s them or us. Bill wrote that incredible piece for Rolling Stone that popularized this idea, just laying it out, because people get these numbers. I had just had my kid at this point [in 2012], so I wasn’t able to go on the full fossil-free tour that Bill and 350.org kicked off, but I did go, with my 5-month-old in tow, to New York and Boston, which were a couple of the biggest events. What was amazing was that people were on their feet before we said a word. I’d never seen anything like it. The movement was waiting for someone to admit that there was a war going on. This comes back to one of the most controversial parts of This Changes Everything, about how so many of the big green groups have partnered with fossil fuel companies, based on the false idea that we’re in this together. No, we’re not. I think people really get this, and young people get this most of all. It all comes back to that research. Every time you explain it to somebody else, you are part of the solution, because these are illegitimate profits. The other thing that helps is that fossil fuel stocks are not performing very well right now [because of low oil prices]. So your opponents have just lost their best argument. They won’t lose it for long, so that’s another reason to just pound away at this. If this was last year, they could say, “These stocks are performing better than other ones, you want to bankrupt our schools.” But, no, in fact these stocks are underperforming. Not only are institutions destroying the planet, but they are also taking unnecessary risks with their endowments. Another point I would make, [about] carbon pricing, is that when we make the argument that this is a rogue sector, that their business plan is at odds with life on earth, we are creating an intellectual and political space where it becomes much easier to tax those profits, to increase royalties, and even to nationalize these companies. This is not just about the fact that we want to separate ourselves from these companies, it’s also that we have a right to those profits. If those profits are so illegitimate that Harvard shouldn’t be invested in them, they’re also so illegitimate that taxpayers have a right to them to pay for a transition away from fossil fuels, and to pay the bills for a crisis created by this sector. It’s not just about dissociating ourselves from their profits, but potentially getting a much larger piece of them. Naomi Klein: I think the reason why the reinvestment piece is a little bit trickier than the divestment call is because what we need to get out of is really simple, we want to divest from the fossil fuel companies, but what we want to get into will look a little bit different everywhere we live. There isn’t one blanket investment, nor should there be. I don’t think that the response should be, “Goodbye, big carbon. Hello, big wind, big solar.” I think we can do better than that. Which isn’t to say big green companies don’t have a place in the transition. I think they do. But I think we should also be looking at supporting local solar co-ops, that reinvestment should be very much a tool for climate justice. The answer for what that means is only going to come from building alliances with frontline communities in all of your communities and developing tools and projects that can be supported. The Our Power campaign in the U.S. is a great example of identifying six climate communities that have great transition plans, some of them already quite far along, that can be supported. We should resist the temptation of just presenting this as flipping the switch from dirty energy to big, clean, green energy that will be controlled by a different set of corporations. 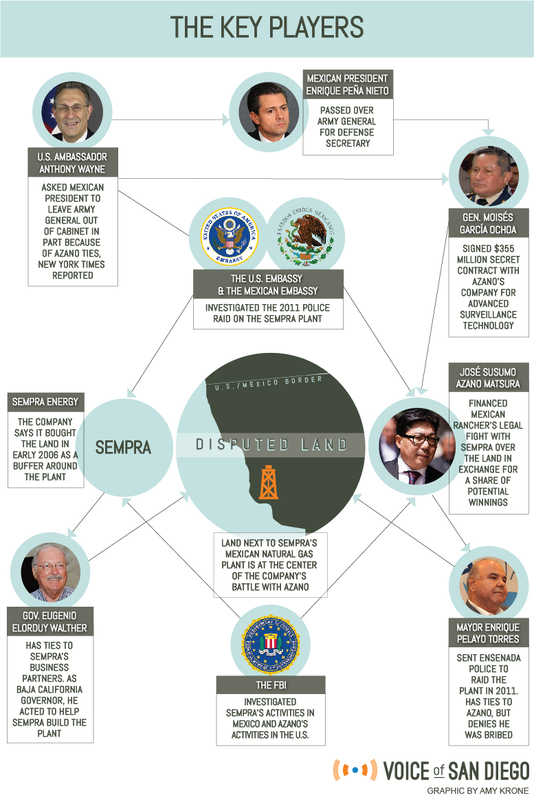 Voice of San Diego's reporter, Liam Dillon, has a new three part report on the FBI investigation into SEMPRA Energy and there questionable business practices in Mexico. 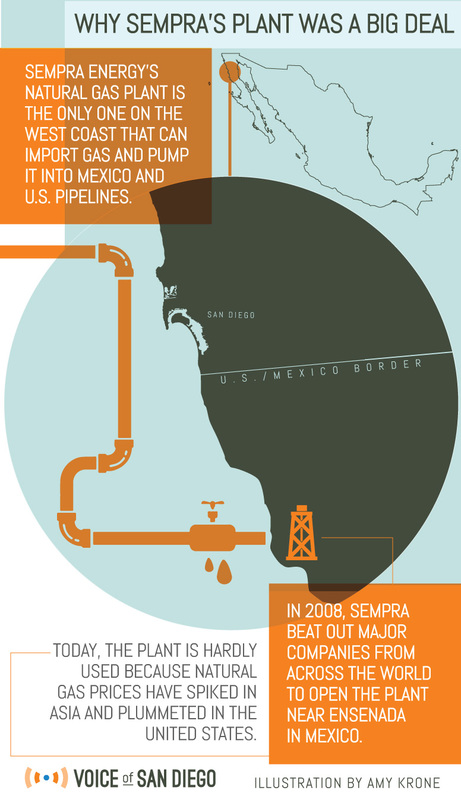 SEMPRA has successfully used the Federal Government to harass their Mexican competitors. 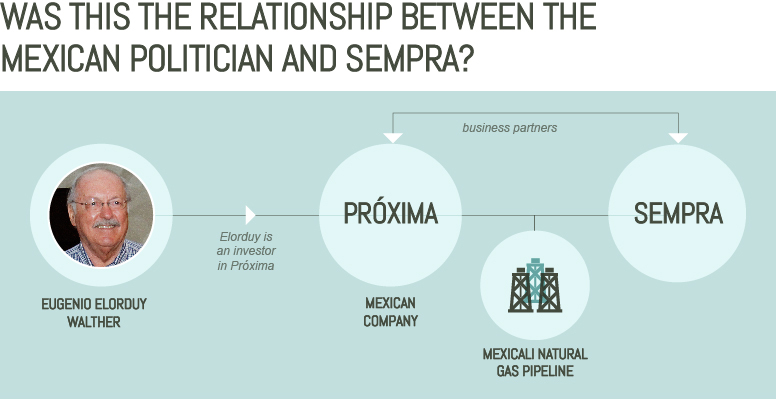 On KPBS.org Friday Roundtable they talked about this SEMPRA Scandal and the strange narrative that includes so much of the back-room dealing within the San Diego/Tijuana region. This is the ghost of the secret power struggles behind your energy utility and politicians. high roller and political wheeler-dealer. A confidential source described in the report as someone who saw the governor and his family every day told Interfor that Elorduy had been overheard talking about bank deposits in the Cayman Islands and that the governor made 3 a.m. telephone calls to Switzerland to discuss bank accounts there. The source also witnessed Elorduy’s wife ironing old $100 bills to remove the smell of mold from them. 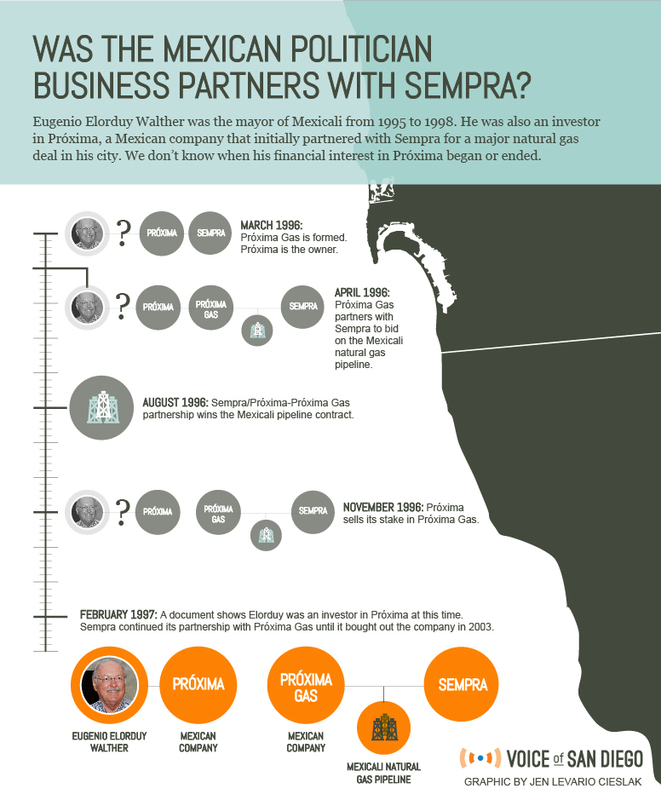 Beyond these scandalous and anonymously sourced details – Elorduy has denied them all – Interfor also connected Elorduy’s decision to confiscate Marathon’s land to bribes from Sempra. It began in late 2011 with District Attorney Bonnie Dumanis. She was running for San Diego mayor and Azano invited her to one of his Coronado homes for lunch. Dumanis would only be the first. A few months later, Azano met with Dumanis and San Diego Sheriff Bill Gore in Gore’s downtown office. That summer Azano hosted a lunch for then-mayoral candidate Bob Filner. In September, hedined at a downtown restaurant with then-congressional candidate Juan Vargas. Prosecutors say Azano gave more than $600,000 to campaigns backing Dumanis, Vargas and Filner between December 2011 and November 2012. In the end, it wasn’t the investigations into drug trafficking or money laundering that took Azano down. And it wasn’t the claims of bribery or extortion or tax evasion. After six years of warfare with one of San Diego’s most powerful companies, Azano was arrested and charged with making a campaign contribution that was publicly disclosed and available for anyone in the world to see.